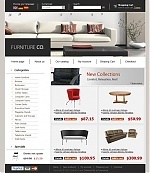 Great Barr website design offers a wide range of website design services since 1996. Our Goal is to ensure design and ongoing costs of the Website must be achievable for any business, regardless of size or service. Do you need a new website? A fresh redesign for an current website? Or maybe a few tweaks to help get more visitors to your site? A better ranking in the search engine listings? free no obligation web design quote.